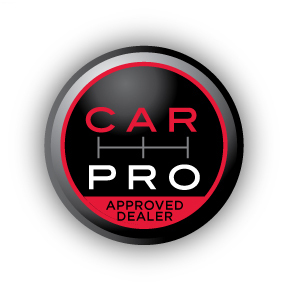 Airport Marina Honda is Car Pro Approved! Airport Marina Honda is proud to be associated with Car Pro because they give straight talk and honest answers about everything automotive. You can rest assured that a Car Pro dealership will save you a lot of money on your car. Since a car is typically the second largest purchase you will make, Airport Marina Honda wants to do everything possible to ensure that your purchasing experience will be a positive and rewarding one. TOP RANKINGS IN CUSTOMER SATISFACTION INDEX (CSI): Each Car Pro dealer consistently achieves the top 10% in customer satisfaction ratings by the factory for their particular make. Factory reports will be reviewed by Jerry The Car Pro on a quarterly basis. My vague recollection of this Honda dealership is that it looked nice enough and the people here were also fairly friendly. I appreciate the service and warmth of the employee who attended us and gave us the clear vision of what we wanted. Terry Williamston was the man to deliver all of this. KUDOS TO HIM! The experience was above and beyond, every question I had was answered in full detail by Dan, from the moment we met with him to the moment we left everything went smoothly and I felt like I left with a lot of knowledge. As my first experience with this dealership I can say it was an amazing experience and I recommend coming to this dealership for any car buying experience. Car buyers regularly turn to Jerry Reynolds the Car Pro to learn more about the vehicles they’re interested in buying. As one of Car Pro’s recommended and preferred dealerships, Airport Marina Honda is required to strictly follow the business practices described above. We take great pride in providing our customers with outstanding customer service. Find out what makes us the only Car Pro approved Honda Dealer in the LA area by visiting Airport Marina Honda today!